Kidd served as the Milwaukee Bucks’ head coach for four years (Courtesy of Gregory Shamus). 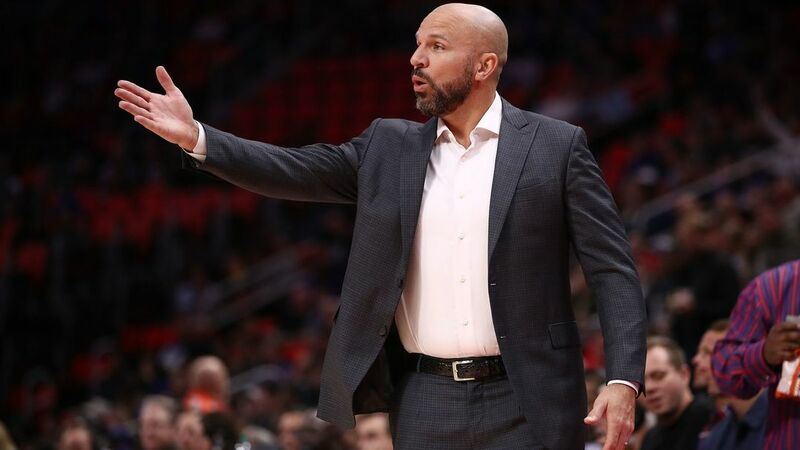 On Monday, Jan. 22, the head coach of the Milwaukee Bucks and 10-time NBA All-Star, Jason Kidd, was fired after approximately three and a half seasons at the helm. It was reported that this action was made due to the Bucks’ disappointing record this season (23-22) as well as deteriorating relationships within the organization. The Bucks’ assistant coach Joe Prunty will take over as temporary head coach for the time being. After ending his legendary NBA career with the Brooklyn Nets, Kidd was first hired as a coach by his former team in 2013. Long-standing disputes between Kidd and the Nets’ former general manager led to an ugly departure for Kidd. He played for the Nets for seven seasons and led them to two NBA finals. Interestingly enough, since Kidd’s retirement, the only time the Nets have made it past the first round of the playoffs was with him as head coach. “Many factors went into this decision, but ultimately we decided that a fresh approach and a change in leadership are needed to continue elevating our team to the next level and bringing us closer to our goal of winning championships,” said Bucks’ general manager Jon Hurst in an official statement posted on the NBA’s website. This may come as a surprise to Milwaukee’s loyal fans, but it has been obvious this season that the Bucks’ immense talent has been held back by Kidd’s odd rotations of players on the court. So far this season, the Bucks have the sixth worst defensive rating in the entire league. In Kidd’s first season coaching this team, his defensive schemes worked wonders, and the Bucks finished with the NBA’s second-best defensive rating. However, in the two seasons that followed, they have finished 22nd and 19th respectively in defensive efficiency. This might help to explain the removal of Kidd from the team, and hopefully a new coaching perspective could help elevate the team to a higher level on the defensive end. A star player for Milwaukee and two-time NBA All-Star from Greece, small forward Giannis Antetokounmpo was very close with Kidd and sad to see him leave the organization. Giannis was drafted by the Bucks in 2013, and Kidd helped shape him into the dominant player that he is today. Kidd was instrumental in influencing Antetokounmpo’s future. Both Kidd and Antetokuounmpo are aware of the current state of the Bucks though, and it was obvious that some changes needed to be made. With Kidd now removed from the organization, the Bucks’ future looks promising as they head into the playoffs. Hopefully the Bucks’ head office will be able to find a new head coach in time for the trade deadline, and they can turn things around for the second half of the NBA regular season.